Four Lady Choctaws received individual honors following the recent championship match. 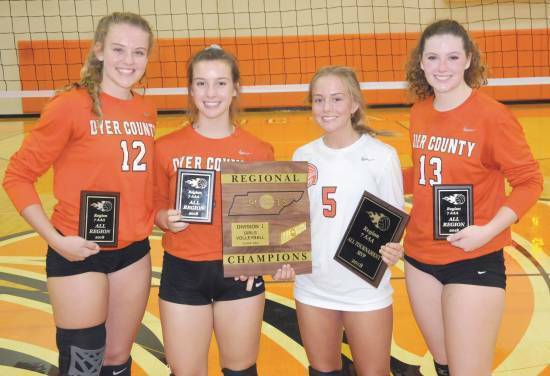 Players honored were (from left) Katelyn Anderson (All Tournament), Caity Kirk (All Tournament), Maggie Bartlett (All Tournament Most Valuable Player) and Rachel Hill (All Tournament). Congratulations to each of these girls for their outstanding performance in the tournament.